Look no further than All Points Heating when you need a new heating or cooling system for your home, or service or repair of your existing system. We provide services for residential heating systems, furnace, heat pumps, tankless hot water heaters, fireplaces. With the large number of alternatives available, our skilled technicians have the expertise to help you select the right system for you. Furnaces use a variety of fuels including natural gas, heating oil, electricity or propane, and are built in either packaged or split systems. 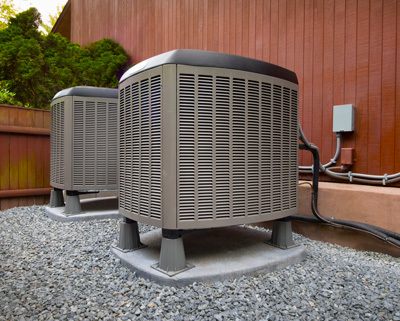 Packaged systems are all one piece and located inside the home, with split systems placing the condensing unit and coil outside. With a broad selection of high efficiency furnaces available, All Points Heating can provide the best furnace for your needs. Tankless hot water heaters can lower energy bills, provide nearly unlimited hot water, and fit in a much smaller space. Available in both electric and gas models with electric being the most energy-efficient, All Points Heating can help you select the most suitable option for your home. All Points Heating provides customized installation, service and repair of home comfort systems, with a broad selection and brand-exclusive features to enhance your home. We also provide top-quality air conditioning systems, fireplace systems, grills and stoves, stove systems, outdoor living systems and installation, air quality & purification systems, home power generation systems and 24/7 repair and maintenance services. Give us a call or email us with any questions you may have or to set an appointment to discuss your needs, and don’t forget to check out our special online offers!